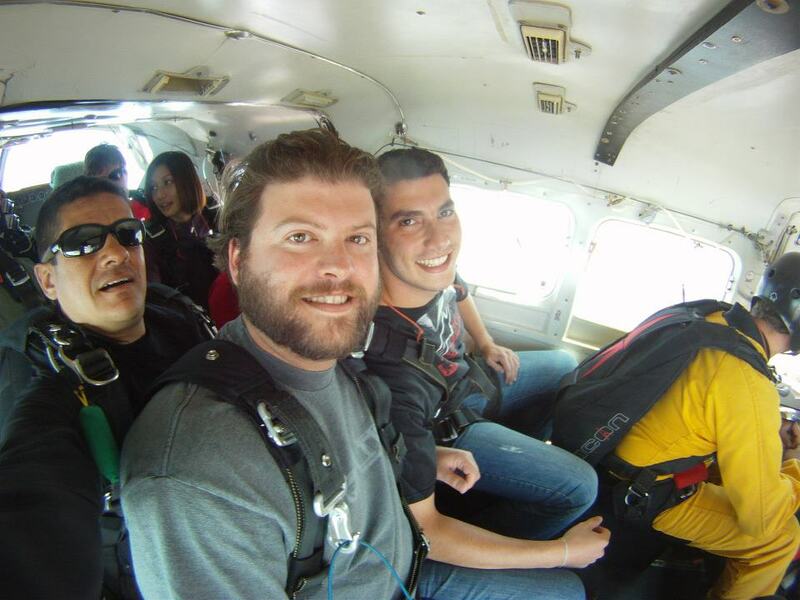 You have probably heard the saying “Why would you jump out of a perfectly good airplane?” when someone is talking about skydiving. I know I hear it whenever I talk about my skydiving experiences and I find it amusing that people would so adamantly refuse to try new experiences based on the danger factor. The first time I tried skydiving was when I was at the tender age of 18. I was working at a trap range and one of the people I worked with was planning a skydiving trip with a few people and invited me. I was a bit skeptical at first, but after numerous invites I halfheartedly agreed. The date was fast approaching and I was getting a bit nervous since most of the people that were initially invited had flaked out. 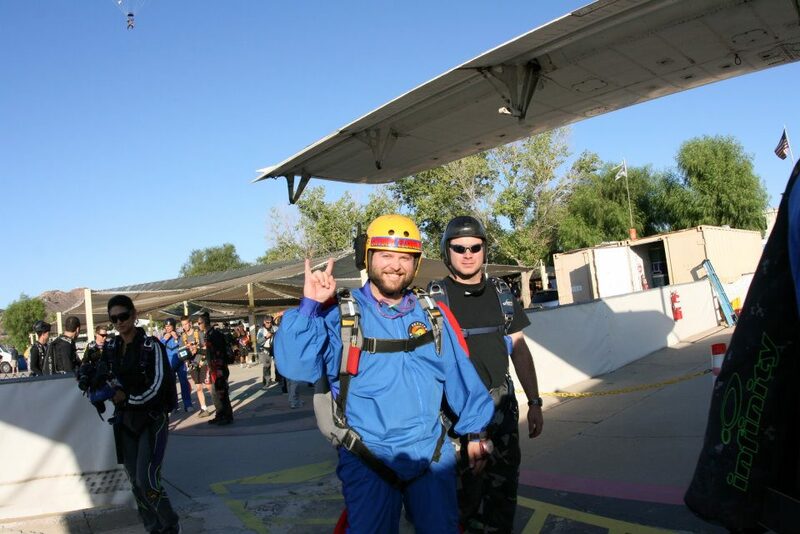 So the date arrived and I had showed up to the drop zone, still unsure If I would actually go through with it. I had about 30 minutes of instruction and had to wait about 30 minutes until it was my turn to go up. I think that was the longest 30 minutes of my life. Thoughts of dismemberment and death raced through my head only adding to the anxiety I already had. I kept thinking “If I get through this, I am the coolest dude around” (especially since there was supposed to be a big group of people and only about three of the initial invitees actually showed up to the drop zone). Since most of the people flaked, I figured If I actually commit, I will have unending bragging rights over those who backed out. 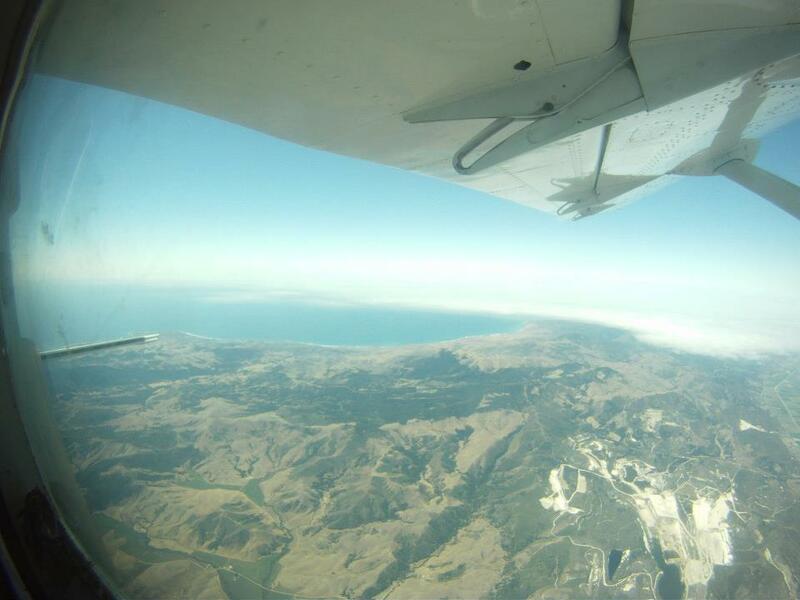 The time had come to board the plane and take our roughly 20 minute ascent to 12,500 feet before plunging to the earth at terminal velocity (about 120 miles per hour). I mentioned before about the 30 minute wait being the longest of my life? Well I was horribly wrong! It was actually the next 20 that were the most terrifying since where I was seated, next to the door, I could see straight down. Now, people will always tell you do not look down, but does that ever really happen? Of course I looked down and, well, I almost backed out. My mind kept telling me “why would you jump out of this perfectly good airplane? !” There was nothing wrong with the airplane, no mechanical failures, and no emergency procedures that had to be taken, in which jumping out with a parachute would most likely be the choice in an inevitable plane crash. No, there was nothing wrong with the plane and my plan was to jump out anyway. Don’t look down! Yeah OK! Lets just say after safely landing on the ground with no injuries and a sense of euphoria, all I could think about was doing it again. It was one of the most exhilarating experiences of my life. I immediately thought that I would definitely want to get certified so I can jump on my own, since this was a tandem jump and I figured this would be the best route for my first time. Sadly, I never pursued it. Years went by until a cousin of mine decided to visit and he wanted to go skydiving. All those feelings came rushing back and I instantly agreed to go with him. After our experience I decided to take action and get certified. I went back to the same drop zone my cousin and I had jumped at and did another tandem and well, it just confirmed my aspirations of becoming a skydiver. 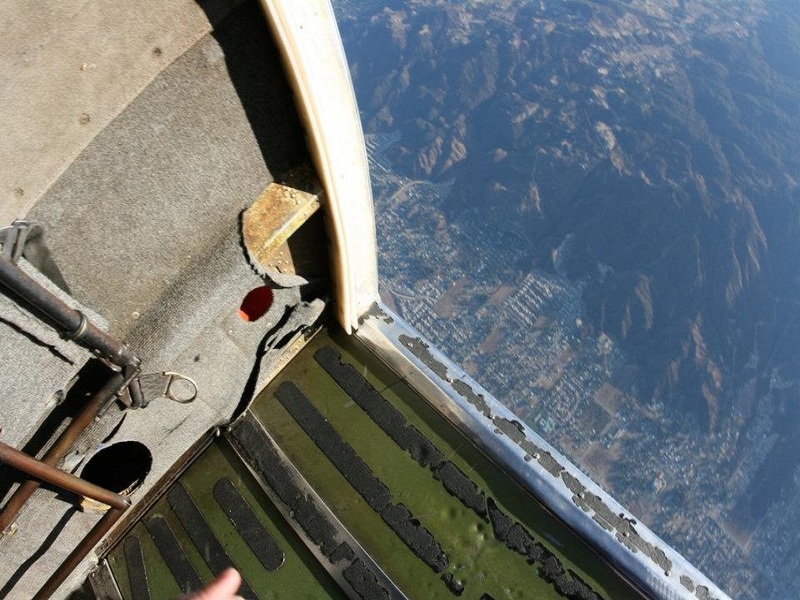 I called a few people until one recommended the drop zone at Lake Elsinore, Ca. After calling the drop zone, my appointment for a first jump course was booked. A first jump course consists of about 6-8 hours of training and then you go up with two instructors and you all have your own parachutes. This means I have to navigate the chute after deployment; not like a tandem jump, where the instructor is pretty much in control. Yea I am good! Where did Keanu Reeves go?! Training went great, but that feeling of anxiety came back, since I now had my own life in my hands and it was up to me to try and land safely on the ground. Everything went off without a hitch and I had one of eight jumps under my belt in the AFF (Accelerated Free Fall) course. After finishing the course, I moved on to acquire a total of 25 jumps- the 25th jump being my graduation jump and acquired my A-License. 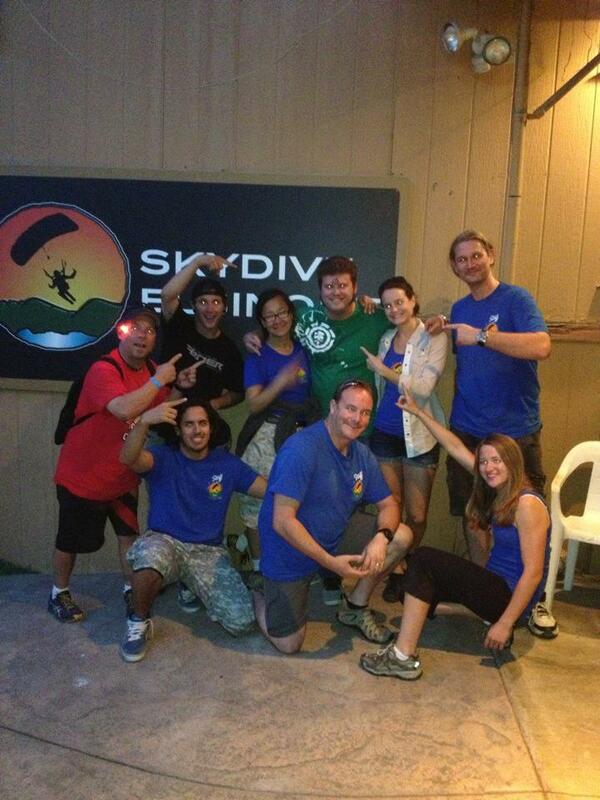 I was now a certified skydiver. You could not imagine the sense of accomplishment that this had given me. What made it even more satisfying was that most of my friends and family thought I was crazy, but I did it anyway! Since then, I have had 33 jumps in total. If you are interested in skydiving, I say go for it. You have one life and you should live it. While pondering my friends post, I was reminded of a skydiver I met while going through my AFF (Accelereated Free Fall) course. He may very well have been just like one you out there thinking there is something more to life than what your everyday routine holds. He had a great job in the software sales industry making amazing money. Basically, a job that anyone would probably kill to have since the money was good and it afforded him a lifestyle most would only dream of. He told me even though he loved what he was doing, he felt like there was something missing in his life. I believe he may have had a Matrix-esque situation in where Morpheus came to him and gave him a choice. He told me he sold his domicile at the time, moved near a drop zone, bought a house with his significant other and is now an avid skydiver as well as an instructor. I have had the pleasure of jumping with him on one of my course jumps. Today he seems to be elated with his decision and has not looked back since. I am not saying all of you who feel that there is something missing in your life must go and jump out of a perfectly working airplane to have any sense of a fulfilling existence, but its a good start. As far as the dangers associated with skydiving go, they are actually pretty minimal compared to the dangers of everyday life on this planet. People jump in their car everyday willingly accepting the dangers that lie ahead in just commuting to their daily jobs, or running errands such as driving to the grocery store and back. I was told by one individual at a drop zone that there is a higher percentage of dying or having an accident while driving to the drop zone than there is from actually skydiving. In fact, you have a better chance of being struck by lightning. Those of you who are acrophobic, there is an alternative you can try before plunging head-first into the great blue yonder. Although it is not a true representation of the feeling of falling at 120 miles per hour towards earth with an impending doom of becoming a stain, you could try indoor skydiving. It is a great way to get a taste of what it is like to fly as if you were a bird or superhero of some sort. To wrap up, I would say skydiving -for me at least- has done wonders. I have met some extraordinary individuals from all walks of life as well as from all over the globe. 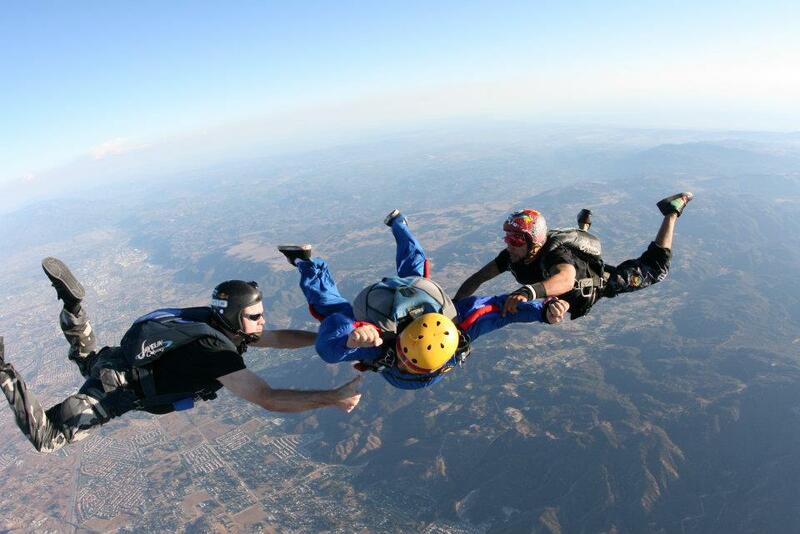 There is a certain kind of bond you gain when skydiving. I can be traveling around the world somewhere and meet someone who has done it before or is in the process of going and you instantly have this bond of sorts. With the newbie, you can give advice and recommendations on how to go about getting certified as well as tips you have gained along the way to better prepare an individual for their first time. When meeting the experienced skydiver, you both start chatting it up about your personal experiences and locations that you have both jumped at. At this point you start making plans to go jumping together and it becomes an even better experience, since both of you can revel in the fact that you are both free-falling together, while others who are not willing to give it a try will never experience this heart-pounding activity that will awaken your soul new heights. You ever gonna skydive again? One of these days. I keep putting it off and I need to just stop making excuses and get back out there. Blue Skies!